Heartwarming and sad, joyous and heart-breaking, life is always full of laughter and tears. But for the children everywhere, the painful transition to adulthood is a universal constant. The son of immigrants living in the heart of Polonia---in Hamtramck, Michigan during the Great Depression---Wallace Caminsky grew up knowing hardship and sorrow, as well as joy and love. Serving his country as part of the “Greatest Generation” during World War II, he saw life and death first-hand. And returning home to start his own family, he experienced the challenges and frustrations of supporting a family in the new and untamed wilderness of Suburbia—where crabgrass and children can both grow, wild and untamed. In All Fathers Are Giants, Wallace Caminsky draws upon the rich, cultural heritage of the immigrants from Eastern Europe in the early 20th Century. 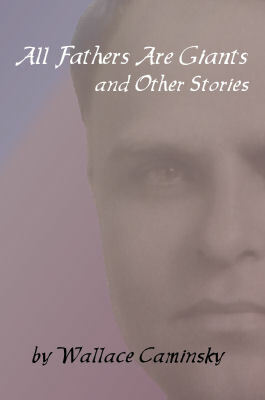 His collection of short stories and poems—ranging from whimsical to tragic, but always touching and timeless—brings to life a bygone age now largely lost to suburban sprawl and computer games. It takes all kinds to make a world...and most of those kinds find representatives in corporate America. But Clarence, a corporate lawyer for the Hansen Motor Company, is one of a kind...and one of his kind is just about all the world can handle. Losing someone you love is always painful...and always will be. Sometimes, the sorrow lingers in the soul, as a familiar face or voice fades from memory. But somehow, through our tears,we manage to keep those we love alive in our hearts. And, on occasion, we can learn about how to cope from the most expected sources...including our own children. Death may be an unavoidable part of life...but it's something that most of us will go to great lengths to avoid thinking about. Unfortunately, some people can't avoid thinking about it...including those who earn their living digging graves. Oddly enough, what upsets grave-diggers the most isn't so much dealing with dead people...it's dealing with the living.